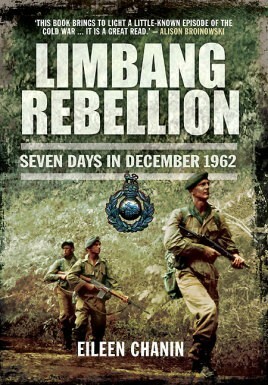 In early December 1962 there was a surprise rebel uprising in northern Borneo. The leader of the anti-colonialist North Kalimantan National Army, Sheikh Azahari, mounted the insurrection that became known as the Brunei Revolt. It aimed to thwart Britain and Malaya's plan to combine the British territories of Borneo into a new Federation of Malaysia. The river town of Limbang, an administrative centre in the British colony of Sarawak, became the pivot of the rebellion that was to be the opening act of the military and diplomatic conflict known as 'Konfrontasi'. Combining eyewitness accounts with thorough research, Limbang Rebellion reveals what it was like to be thrown into this intense and unexpected conflict in which hostages were taken and threatened with execution. It describes the involvement of the Royal Marines under Captain Jeremy Moore, MC, and the daring rescue mission he led under challenging circumstances, which included being vastly outnumbered by the rebel forces. The result is a gripping account of seven dramatic days when a small town in northern Borneo suddenly seized the world's attention.